An interview with Kate Atkinson, and some thoughts on A God in Ruins. affiliate links - thanks for your support! Buy at Amazon.co.uk| Buy at amazon.com I have a confession to make - I am a bad book blogger. (Quiet at the back there!) No, seriously, in this particular case I have let you down. 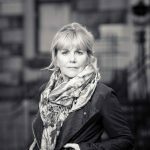 I have had A God in Ruins sitting here waiting for review, and I have a … [Read more...] about An interview with Kate Atkinson, and some thoughts on A God in Ruins.